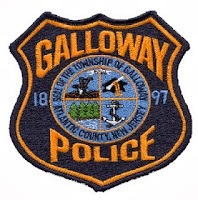 On July 22, 2014 at approximately 6:00 p.m., Galloway Township were investigating the theft of prescription medication at the Quality Inn and Suites on the White Horse Pike in Galloway Township. While investigating, Galloway Police conducted a search warrant and seized a large quantity of Heroin, Crack Cocaine and Prescription Narcotics. Larry McWhite, 38 of Atlantic City and Cruz Sanabria, 35 of Pleasantville were arrested in connection with the theft in addition to multiple counts of Possession of CDS with intent to distribute. McWhite was lodged in the Atlantic County Jail Facility in lieu of $100,000.00 bail and Sanabria was lodged in lieu of $75,000.00 bail. Galloway Township Police Detective Jason Kiamos and Officer Hiram Melendez were the investigating Officers. One of the numerous heroin trading centers in this town are the strip of motels on Route 30. Glad to see one taken down and hope to see more to come. Kiamos needs to go hit the Pomona Camp Ground also. There is a lot of activity over there. Herion, pills, prostitution, child abuse, animal abuse, etc. Such a long list I do not know where they would even start. It is such ashame, Galloway was once a safe and beautiful place but it has drastically changed, I hope they can save it before it is too late. Now if you could get the Absecon Police to bust the snack and go and Sunoco station in Absecon!